Fortnite and PlayerUnknown's Battlegrounds affected. China has frozen all approvals of game licences amid a government shakeup. Bloomberg reported that it has been four months since China’s regulators approved any new games for sale in the market. According to “people familiar with the matter” (all sources declined to be named) the freeze has occurred due to an ongoing restructuring of departments within the Chinese Government, including the National Television and Radio Administration, which is responsible for granting licenses, and the ministry of Culture and Tourism, which has become increasingly stringent about game regulation in the last couple of years. Currently, there’s no clear leadership within these departments, and the bureaucrats are reluctant to take any risks allowing new products onto the market. This is especially the case with games, which alongside their potential to include content that the goverment considers dissent, have a negative reputation for their perceived addictive qualities. The recent loot-box craze has caused additional scrutiny, with the government viewing this as worryingly close to gambling. 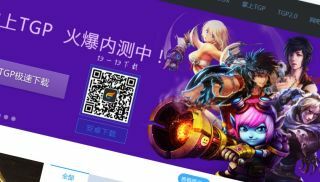 The freeze has caused chaos in the world’s largest gaming market, particularly for Tencent, which has lost $150 billion of its market value since the start of the year. Tencent is still waiting for license approval for the desktop versions of PlayerUnknown’s Battlegrounds and Fortnite, along with the mobile version of PUBG. Last week, Tencent was forced to pull Monster Hunter: World from sale on its distribution service on account of licensing issues. Meanwhile, the freeze has sent shockwaves throughout the industry, as Tencent distribute games in China for some of the world’s biggest publishers, including Activision Blizzard and EA. The Japanese games industry has suffered too, with Capcom’s shares dropping 2.7 percent and Konami falling 4.2 in the wake of the freeze being reported.